It’s that magical, maddening time of year again! I’ll be heading out to San Diego next week for Comic Con and there’s a lot going on to get excited about both related to my Image Comics series, ROCKSTARS and the Audible release of THE X-FILES: COLD CASES, the audio adaptation of my X-FILES comics starring David Duchovny, Gillian Anderson, Mitch Pileggi and many other beloved original cast members of THE X-FILES television show. I’ll be at the show for the entire run, Preview Night, Wednesday 7/19 through Sunday, 7/24. 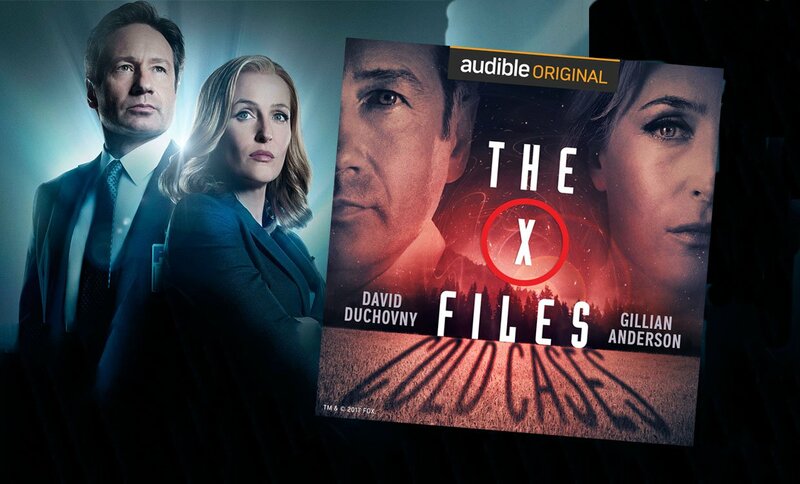 AUDIBLE is going to be representing THE X-FILES: COLD CASES in a big way at their booth (#4015) with lots of interactive stuff for X-Files fans to play with and see. COLD CASES drops next week, just ahead of Comic Con, and the buzz is fantastic (I’ve heard everything, btw, and it sounds ridiculously cool–so proud of what Dirk and company have accomplished pulling off the adaptation of our comics)! 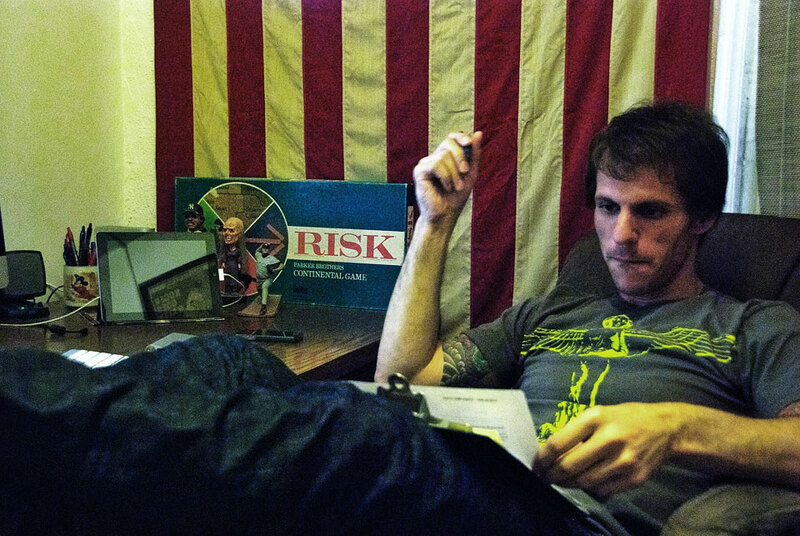 Signed/Numbered and dossier’d — limited to only 15 copies! 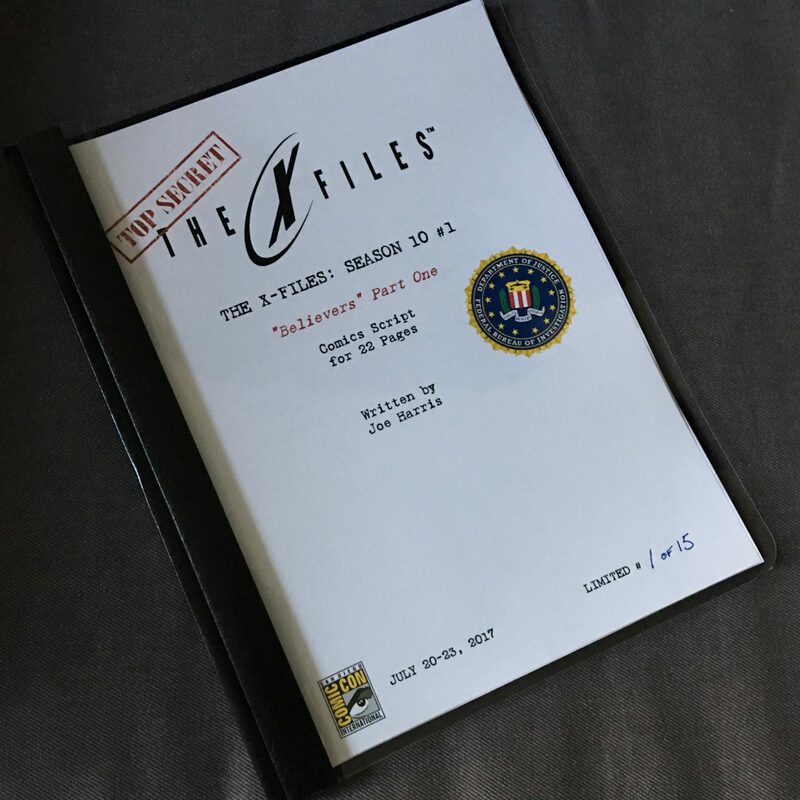 The source material for THE X-FILES: COLD CASES begins with THE X-FILES: SEASON 10 comics, and I’ve done a quick run of the script for issue #1–the same document approved by X-Files creator Chris Carter, FOX, as produced by IDW Publishing and illustrated by the artists, and as adapted for the Audible release and performed by David Duchovny, Gillian Anderson, Mitch Pileggi et al–for Comic Con. Unlike other versions I’ve sold at shows in the past, this is covered and limited to only 15 copies for this show (signed/numbered by me)! I’ll have a very limited number of prints by both my longtime collaborator, Matthew Dow Smith (Mulder & Scully) and X-Files cover artist, Menton3 (Scully & Queequeg!) on hand. They come signed/numbered by me and slipcased. 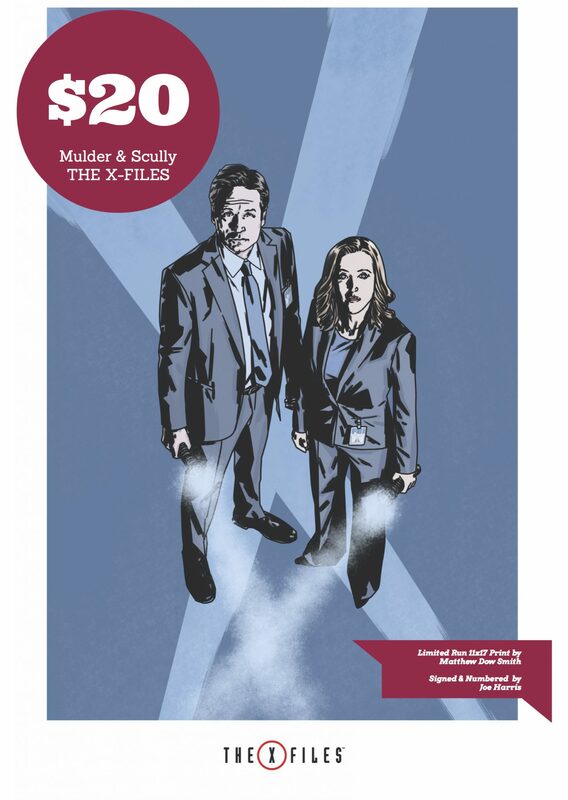 Mulder & Scully Limited X-Files print by Matthew Dow Smith. Signed/numbers/slipcased by Joe Harris! 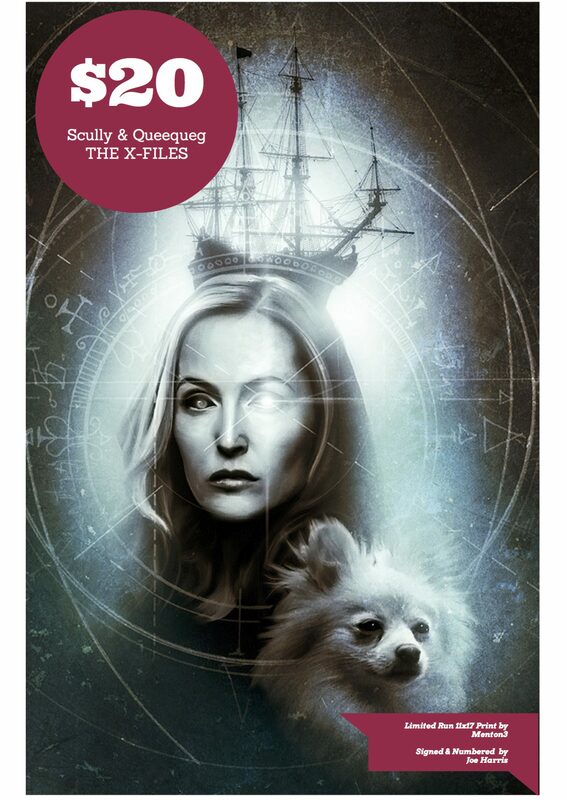 Very limited run X-Files print featuring Scully & Queequeg by Menton3 — Signed/numbered in gold by Joe Harris. Slipcased. *This is the most economical way to read the run of “Season 10” comics the Audible “The X-Files: Cold Cases” series is directly based on. It’s a thick, heavy book containing 15 issues and I will only have a few on hand. 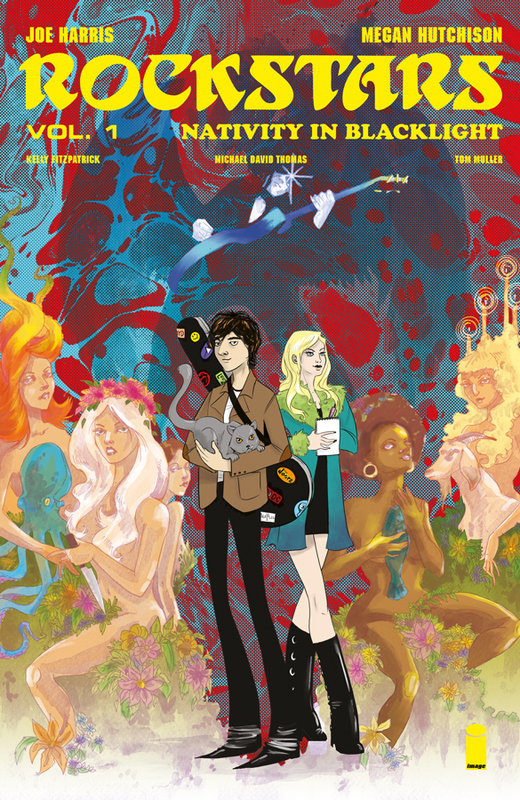 I’ll have plenty of copies of the freshly minted ROCKSTARS VOL 1, NATIVITY IN BLACKLIGHT trade paperback on hand (just $10!) as well as some copies of the much scarcer exclusive variant edition done for Third Eye Comics (which might be a little more money, not sure yet). 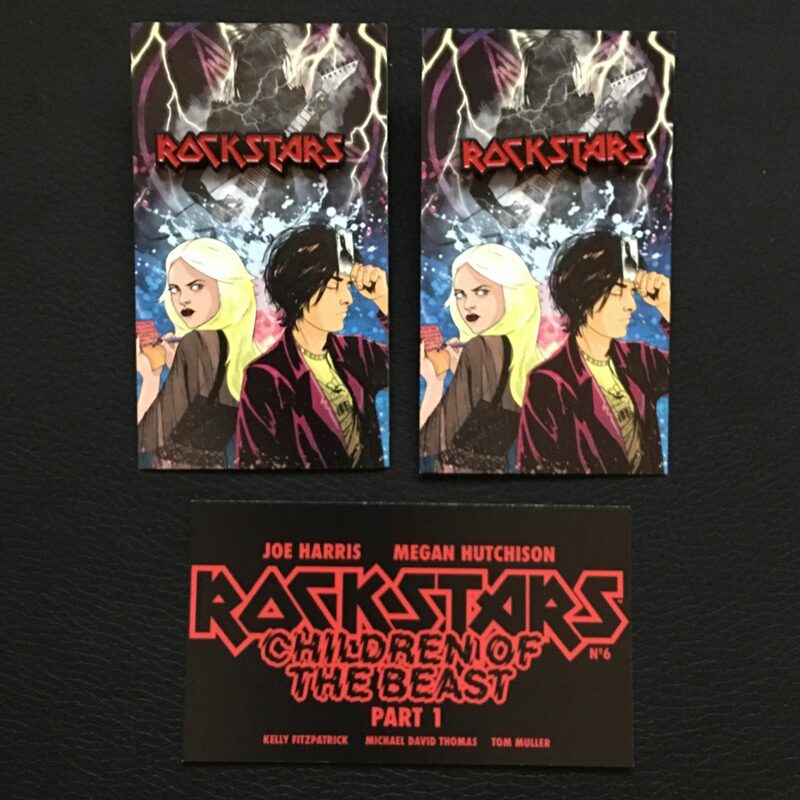 I will also have a bunch of these swagtacular ROCKSTARS enamel pins featuring the revamped logo for our upcoming 1980s metal-themed arc, “Children of the Beast” (which hits stores in August with Rockstars #6)! 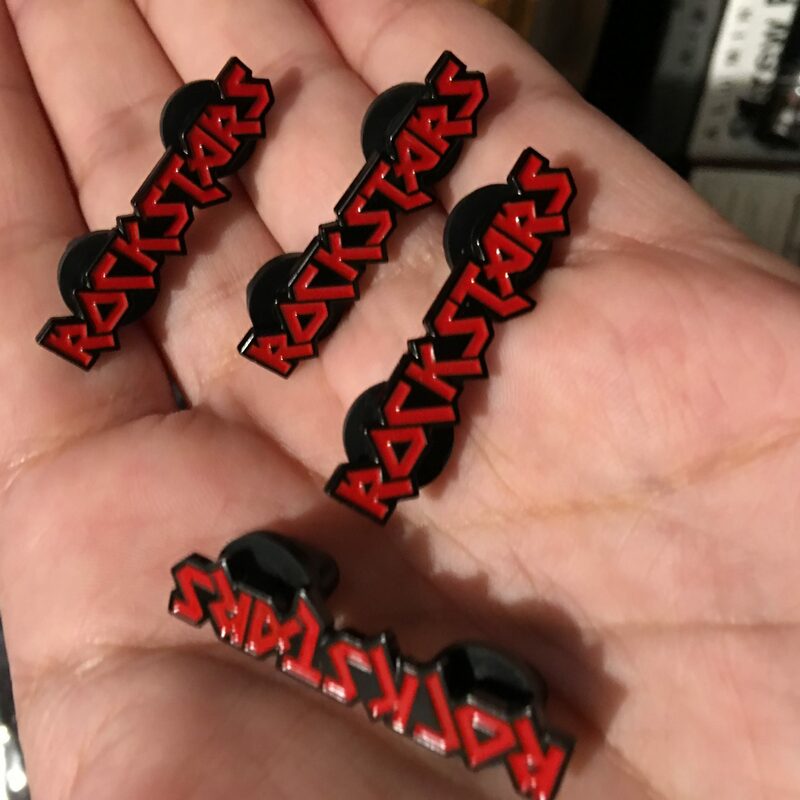 These come stuck to a card replica of the cover to the upcoming issue. I’ll also have some SNOWFALL on hand, maybe some GREAT PACIFIC and anything else I can carry/fit/sneak onto the floor! *I am likely not going to be able to attend this panel, though I might pop in to say hi. I am going to be contributing to this new series next year. 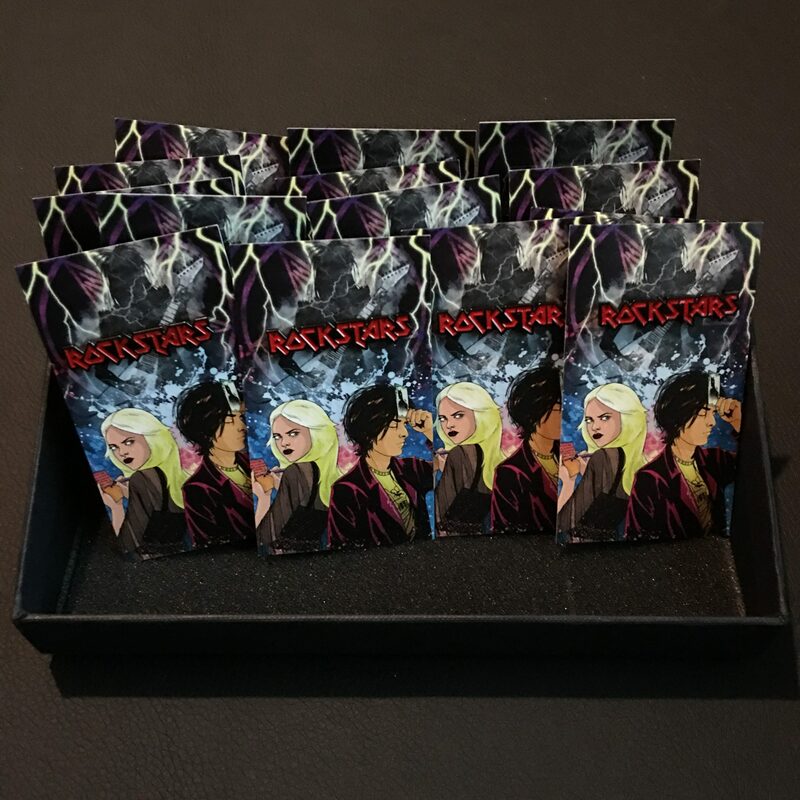 Co-creator Sandy King Carpenter (They Live, Vampires), writer James Ninness (John Carpenter’s Tales for a Halloween Night, Dust), and letterer Janice Chiang (Conan the Barbarian, Transfomers) talk about the origin of the newest title from award-winning comic publisher Storm King Comics. 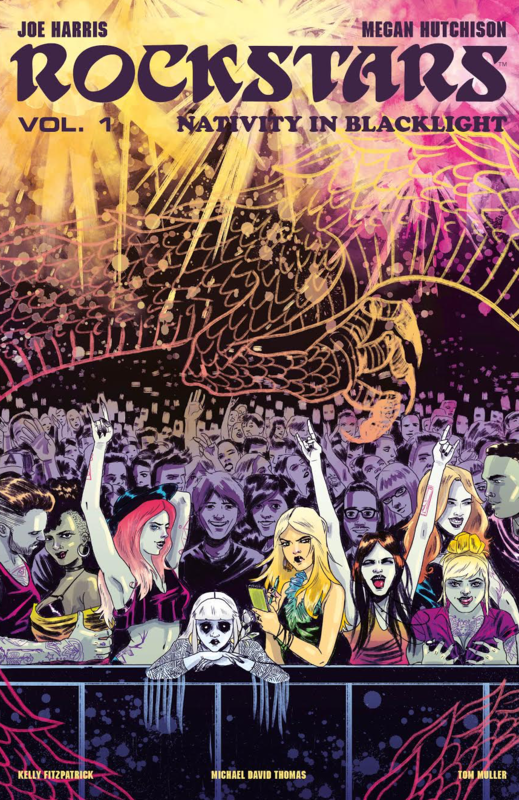 Storm King is the first place to see new comic worlds from the mind of John Carpenter.